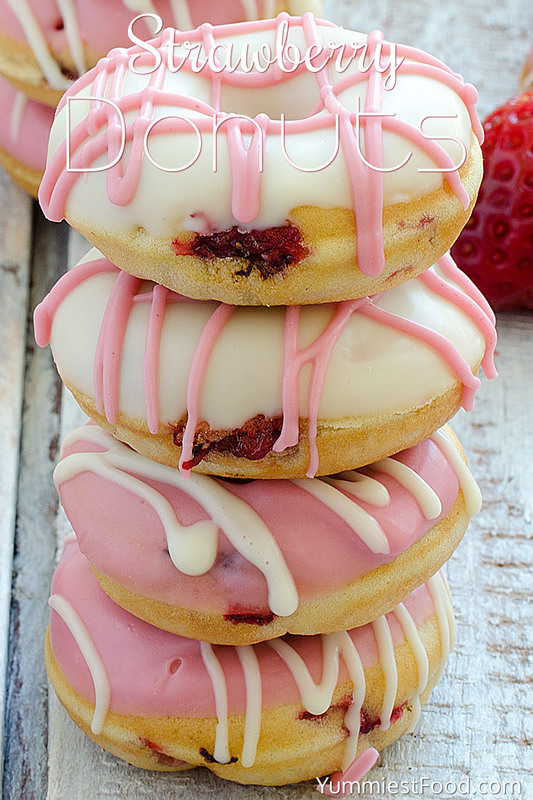 Strawberry donuts, quick, easy and so soft with few ingredients you have at home! 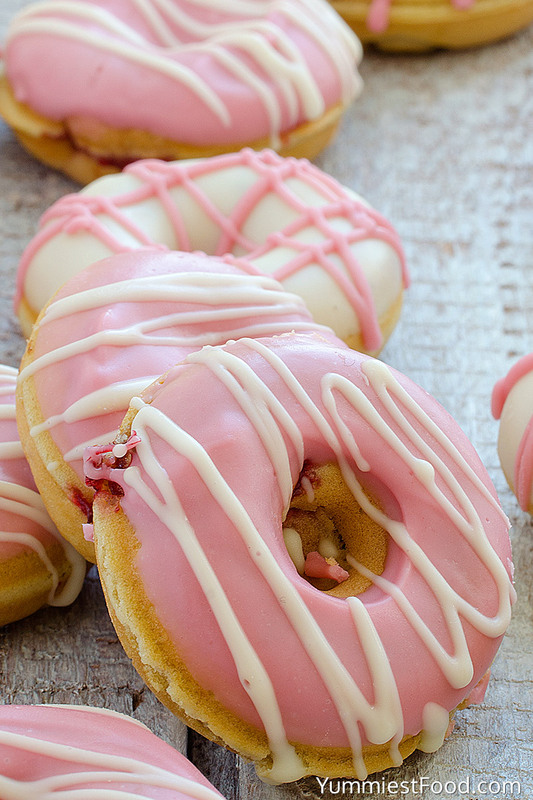 Try to make them, and your family will enjoy in these strawberry donuts! Everyone has their own recipe for donuts, but this one is nothing like you have seen before. I am not an expert, I am only a person who loves cooking and I enjoy in it. I made recipes which my family likes, I try many different combinations and on that way I made perfect recipes. 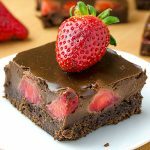 I often prepare these strawberry donuts because you can make them very easily and quickly, you do not have to wait for the dough to rise, so they can be done fast. My children are crazy about these donuts, especially with this strawberry I decorate these strawberry donuts with chocolate, and you can use dry fruit for decoration, but donuts are sweet enough so you can serve them without decoration. You need only few ingredients and they are perfect because they are not fatty like the other donuts which are prepared in the hot oil. 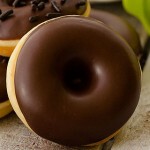 Donuts are really soft, have beautiful texture and when you add your favorite fruit in dough, that will be a real hit. Recipe is very simple so I am sharing it with you, so easy and quick to make, but only fault in these recipe is that they disappear from plate for very short time. Whisk 5 eggs, add oil, sugar, milk, baking powder and slowly add flour, stirring constantly. Reheat the donut maker, put the dough in it and bake donuts. When donuts are cool, cover one side of donuts with white chocolate. 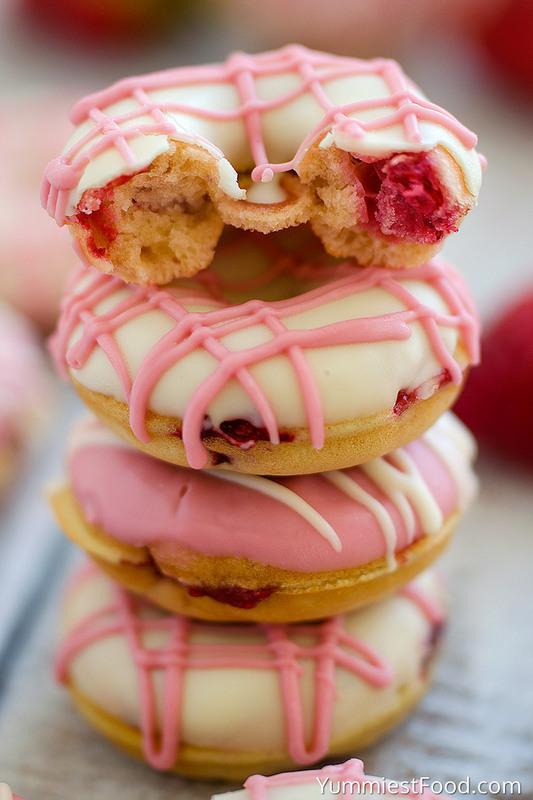 The rest of white chocolate mix with strawberry extract and decorate donuts. The Strawberry donuts don’t say what to do with the chopped strawberries? 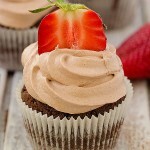 The Strawberry recipe just says to add strawberry extract to the frosting. 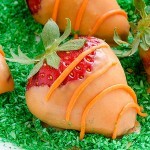 To bake these in the oven what tempture and how long? I have doughnut pans and would like to try thi recipe. Joyce, you can preheat oven on 400 F and bake donuts for 10 minutes, until golden brown. Enjoy!